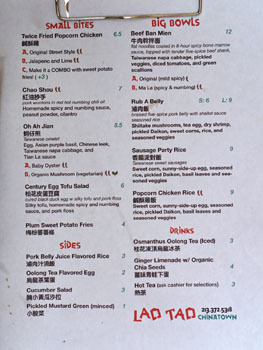 Our last visit to Chinatown's buzzing Far East Plaza brought us to Lao Tao (Taiwanese for "foodie," apparently). 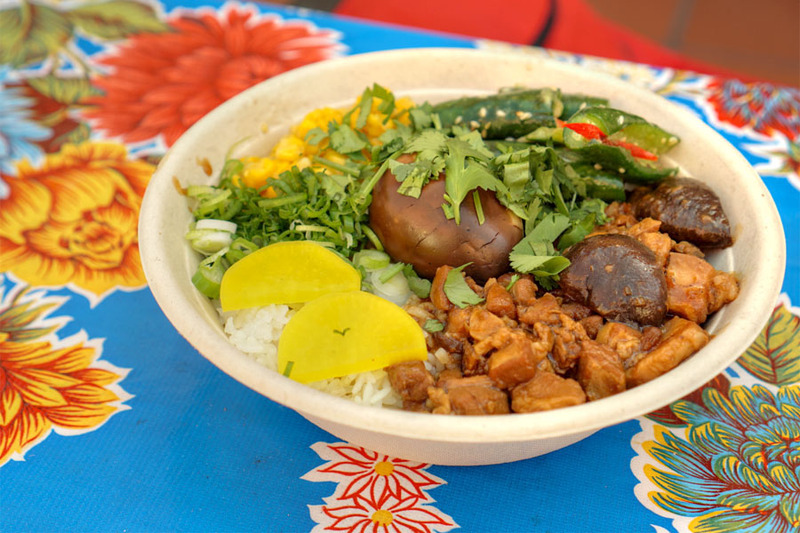 Opened in the middle of September last year, the restaurant is a Taiwanese street food-inspired joint that comes to us courtesy of Chef/Owner David Wang. About the Chef: Wang was born in Mainland China, but came to the US in the 1980s with his family, settling in Dallas. They later made their way to California, and by the mid 90s, his parents found themselves running a Chinese fast food restaurant up in Ventura county (which they actually operated until May 2016). During his high school and college years, Wang helped out at the business, but his parents wanted him to pursue another career, and he eventually graduated from UCLA with a degree in economics. After finishing college, he worked in various corporate and tech roles. At the same time though, Wang was always cooking, focusing on the Taiwanese food that he oft enjoyed as a youngster. Following a trip to Taiwan, his interest in the pursuing the cuisine professionally only grew stronger. 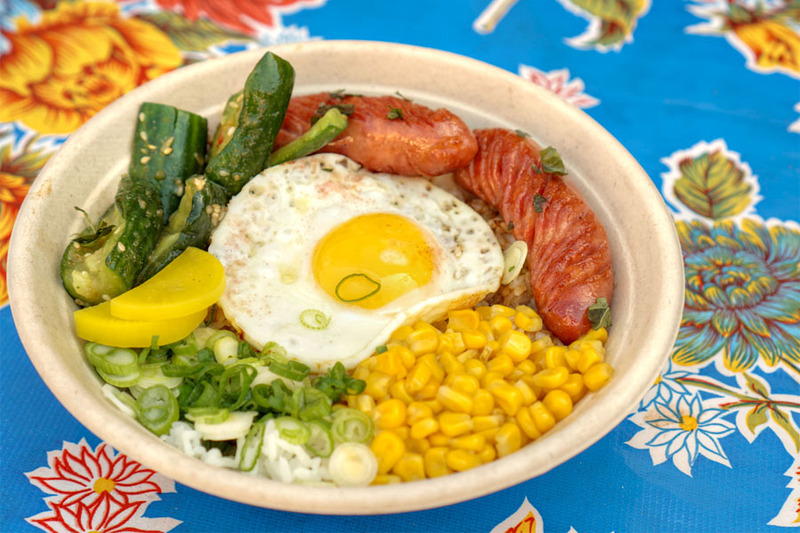 That interest was further compounded by the dearth of Taiwanese cuisine outside of the SGV as well as inspiration from the likes of Pine & Crane. In mid-2015, he quit his day job and started work on Lao Tao. At first, the Chef popped up at events such as Chinatown After Dark and Lucky Rice, but soon found a permanent spot at Far East Plaza, which he then took over with partner Ying Xie (who helps with the creative side of the business). Lao Tao's located on the second floor of the plaza, roughly situated above Chego. There's room for about two dozen diners inside, though we opted to have a seat outdoors. 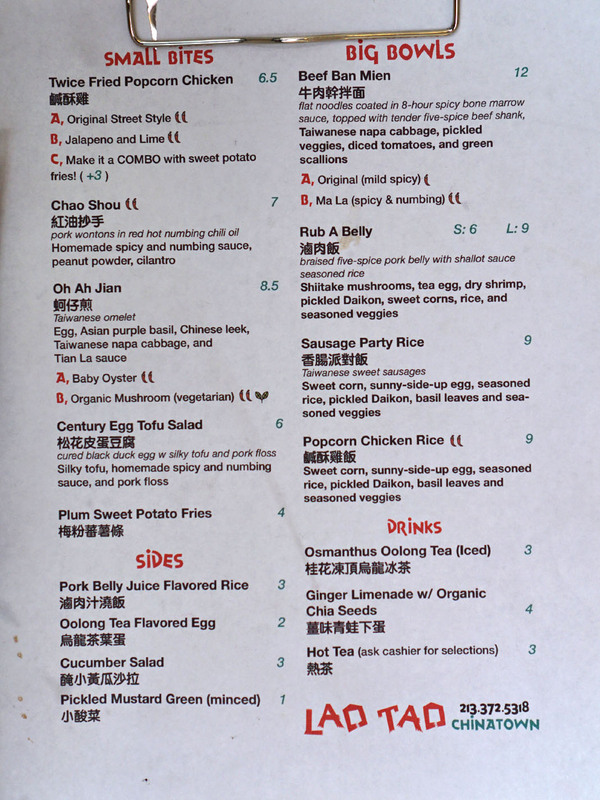 As you'd expect, the menu focuses on updated takes of Taiwanese favorites. Make sure to check out the specials as well. Click for larger versions. 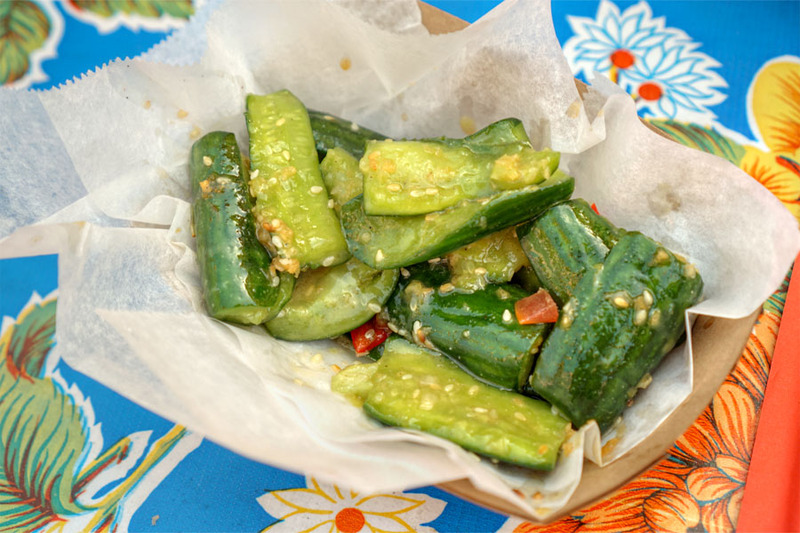 Cucumbers were crunchy, birght, and well-accompanied by the nuttiness of sesame. Wang's interpretation of lu rou fan delivered. The minced pork itself ate meaty, savory, with an additional umami oomph courtesy of the shiitakes that I really enjoyed. 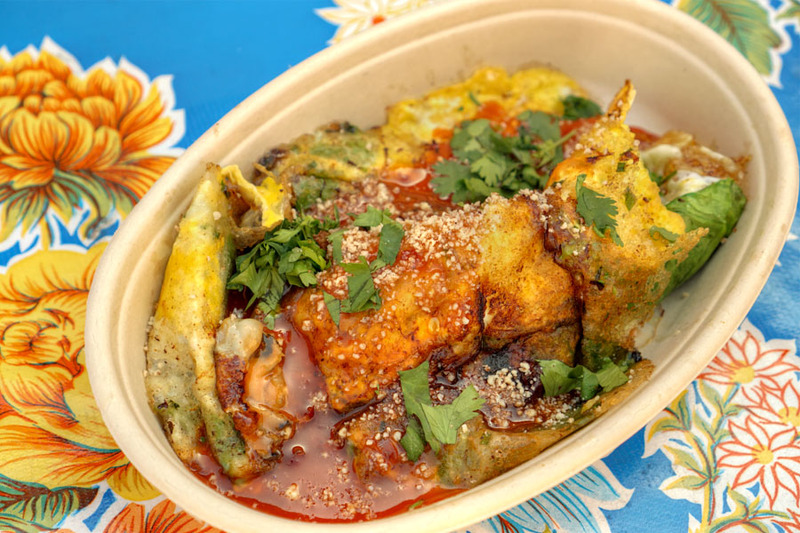 The crunch and acidity of the cucumbers and takuan provided a bit of a counterbalance to it all, as did the heaps of cilantro and green onion. The most interesting thing here though was that corn, which imparted a sweetness that really worked with the meat. We cracked open a few bottles with the meal. 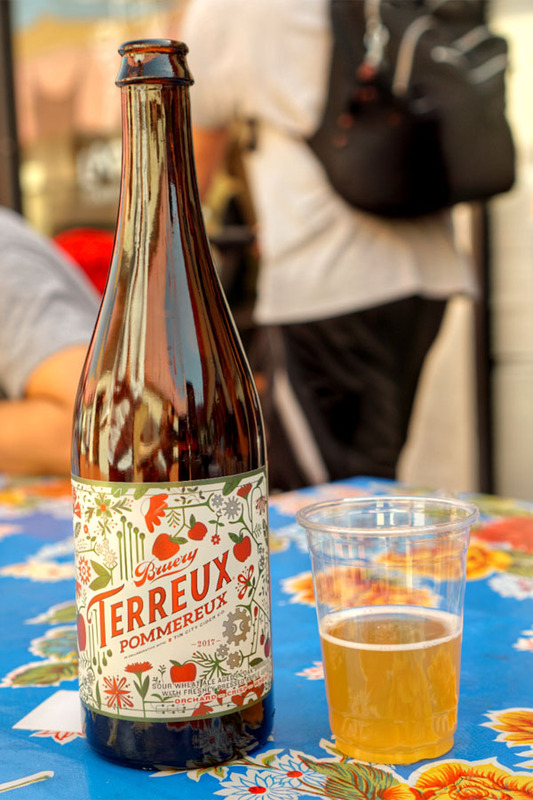 First up was the 2017 Bruery Terreux Pommereux, a sour wheat ale with apple juice aged and fermented in oak, created in collaboration with Tin City Cider Co. Nose of sweet, juicy apple and funk. The palate gave up tart, oaky, yeasty notes at first, which then transitioned to juicy apple on the long finish. Crisp, refreshing, and quite delicious. The Taiwanese favorite of hezi jian showed off a thick, lush, almost gelatinous consistency for the most part, but one also contrasted by firm, nearly crispy bits. Taste-wise, think a medley of sweet, savory, and spicy, with the veggies imparting a much appreciated lightness. I would've liked to have tasted more from the actual oysters, though. The fanqie niurou mian was well received. The actual beef here ate soft and fatty, with a very apparent spice quality to it. 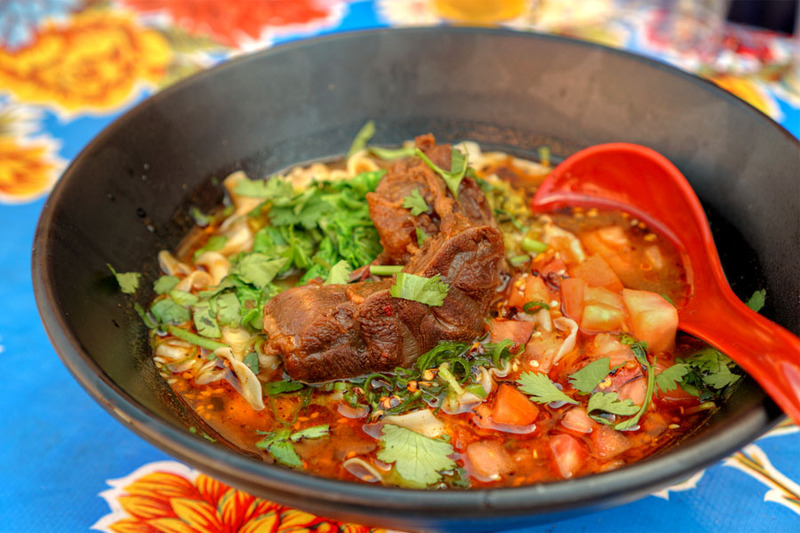 Its savoriness was joined by the depth of the accompanying broth, while the use of tomatoes and greenery really lifted the dish. 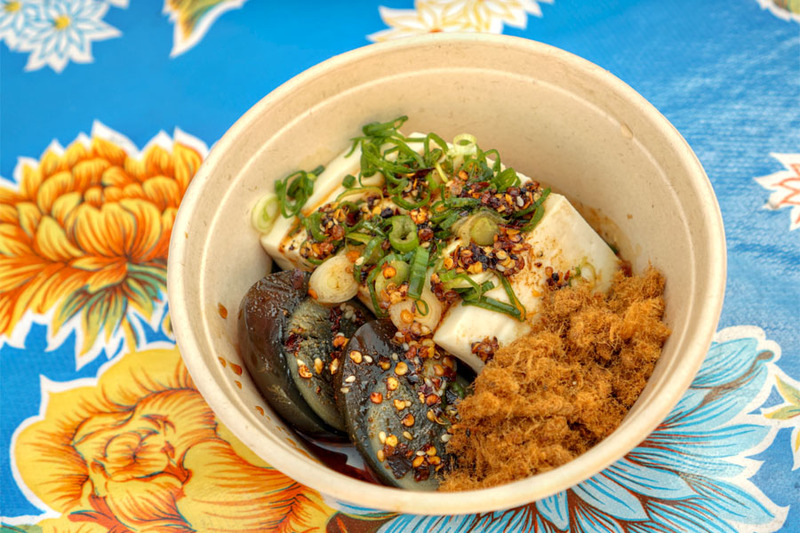 Pidan doufu conveyed a balance between the slippery, funky century egg, mild tofu, and savory kick of the mala sauce. The rousong, meanwhile, functioned as a sort of textural element, and also imparted a touch of sweetness. 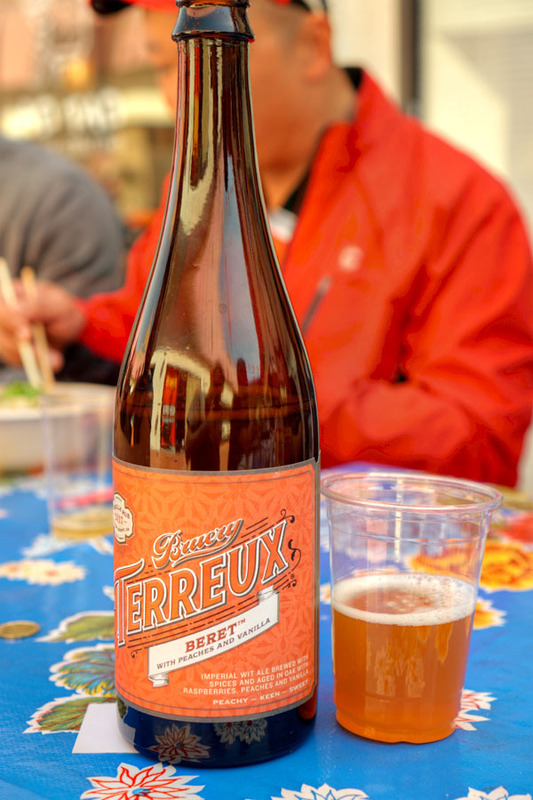 Next to imbibe was the 2017 Bruery Terreux Beret with Peaches and Vanilla, a sour witbier brewed with spices then aged in oak with raspberries, peaches, and vanilla. The beer was a fun one for sure, giving us a drinking experience that meshed Creamsicle-like flavors with tart berry. The xian su ji was a must-try, and one of the better examples I've had. 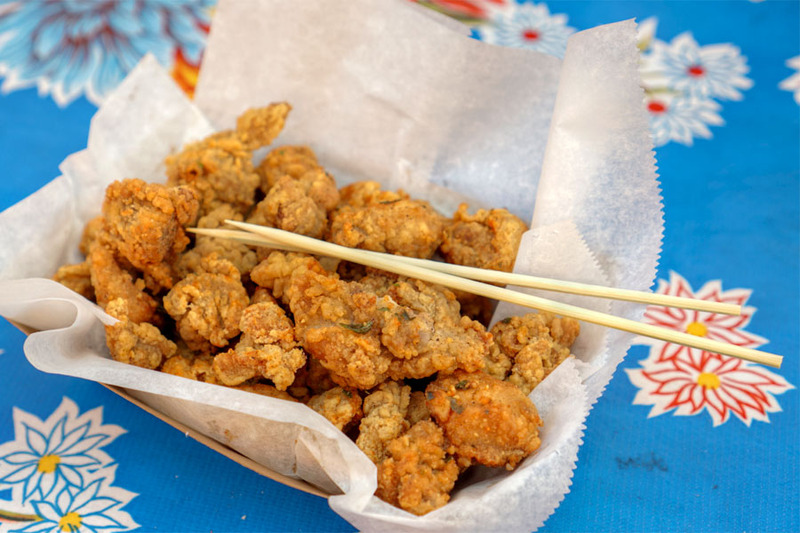 Think crunchy, but moist, with plenty of seasoning and just a smidge of heat. Easy to just keep popping these. 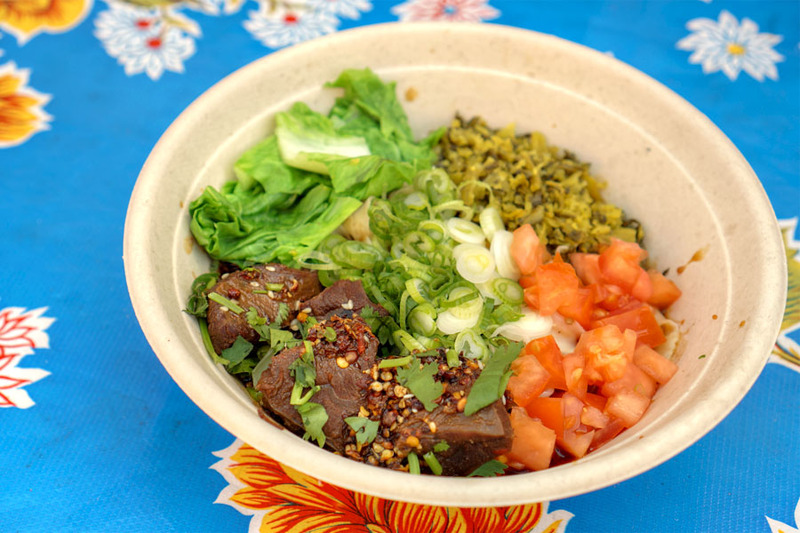 Lao Tao's take on banmian was almost like a soupless version of the niu rou mian above. That made it easier to focus on the actual beef, which was just as tender and flavorful. The noodles also shined a bit more here, and once again, I definitely enjoyed the contrast offered up by the veggies and pickles. 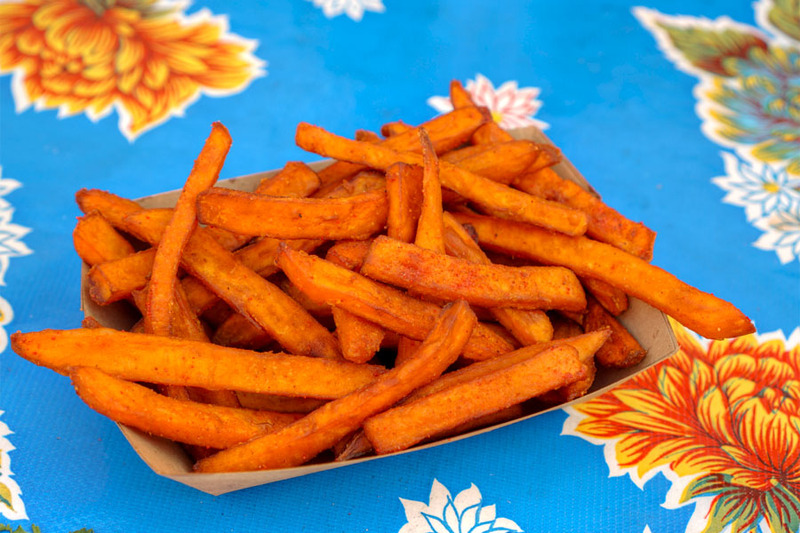 Sweet potato fries were about what you'd expect: crisp, fluffy, sweet sure, but with an additional complexity courtesy of the tangy plum powder. 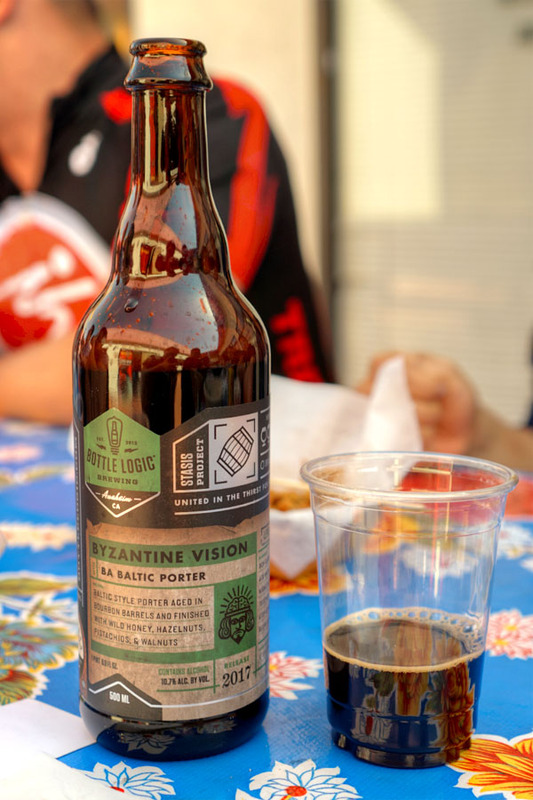 Last to drink was the 2017 Bottle Logic Byzantine Vision, a bourbon barrel-aged Baltic porter with honey, hazelnuts, pistachios, and walnuts that was intended to mimic the flavors of baklava. This one smelled strongly of honey, along with sweet malt and a light tartness. The taste also displayed more of that tart fruit quality at first, but then showed off chocolate, molasses, and sweet-honeyed notes that lasted long. I really didn't get much in terms of the advertised nuts however. This was a beer that's known to have infection issues, so given that, it was actually much better than anticipated. The xiangchang was certainly the hero here, its sweet savor meshing beautifully with the lushness of that runny egg. Gratifying to be sure. 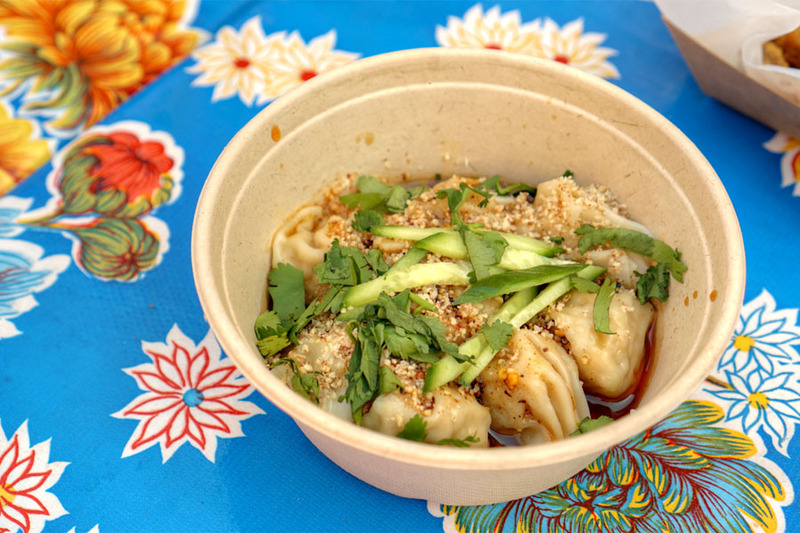 We finished with the hong you chao shou, which married wontons stuffed with springy, savor pork with a delightfully peppery, spicy sauce--very tasty. I will say that the dumplings were on the large-ish side, so some of my dining companions actually commented that more wrapper would be appreciated. I was part of a large party dining here (i.e. a dozen or so people), and we all seemed to enjoy this place overall. The food hits the right notes for the most part, and does a nice job presenting comforting, familiar flavors, but with a bit of a twist. Lao Tao doesn't get the sort of attention that its Far East Plaza brethren enjoy, but it's certainly worthy of a try next time you find yourself in Chinatown. I am a big fan of Taiwanese food (minus stinky tofu). 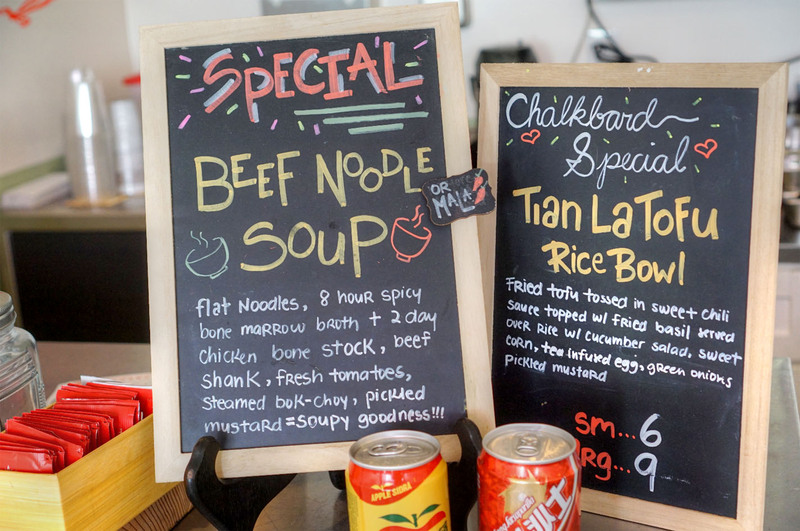 Beef noodle soup always hits the spot! Ice Cream burrito! HOLLA HOLLA BALLA BALLA! Next time you're there, ask for their sesame chicken noodles. Off menu item. Everything looks so savoury and delicious. And the beers rock! Are you liking the Bruery Terreux for the most part? After reading this post, I immediately ordered half an ounce of Gorilla OG. Anon: Where does one get said ice cream burritos in LA? Anon: Huh, sounds good, I'll have to keep that in mind! Anon: For the most part yeah. I'm leaning more toward Terreux than regular Bruery these days, as I'm sort of veering away from super boozy beers.